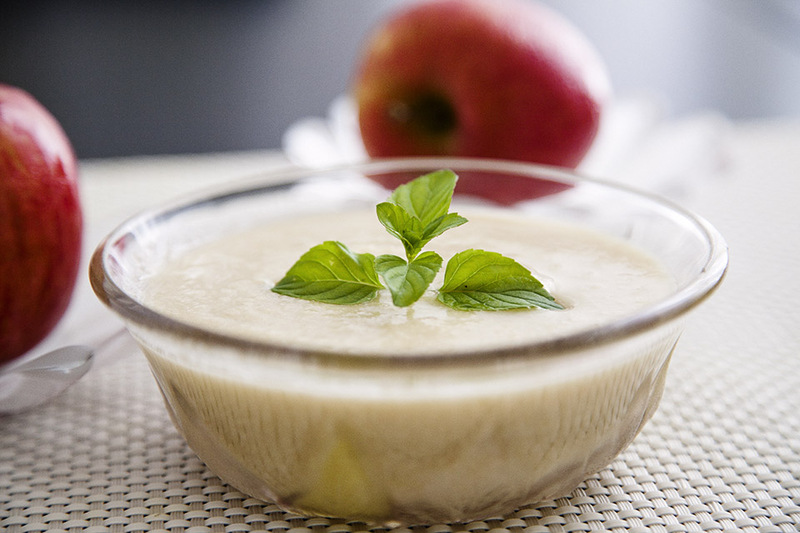 Apple Soup is most often served as an appetizer and is usually made from apples and onions. 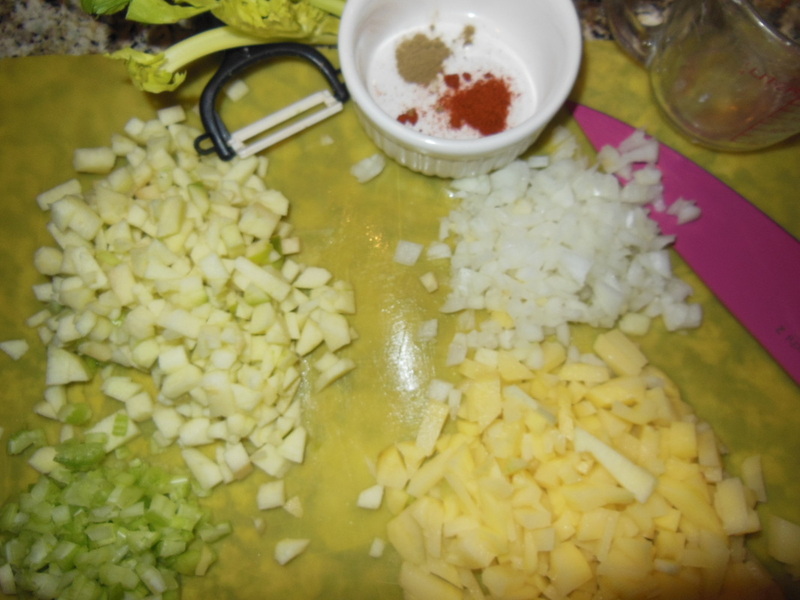 You can use vegetable or chicken broth and sometimes even water or apple cider. Apples marry well with Sage, Ginger, Curry or Shrimp! 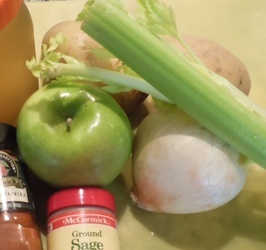 Now let's get started with this fun soup! 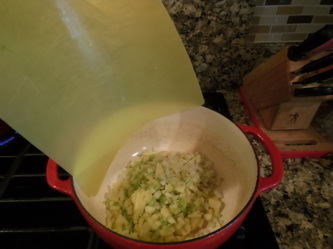 Heat oil in soup pot or saucepan over medium heat. 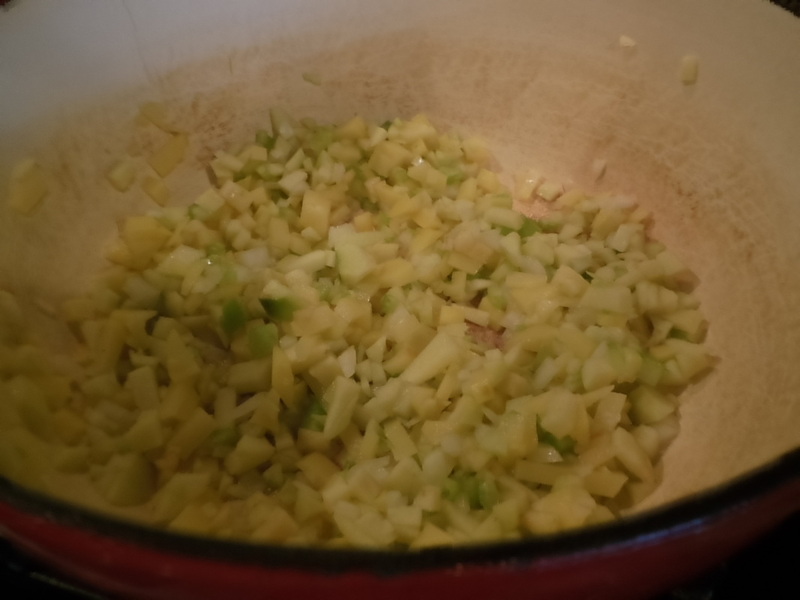 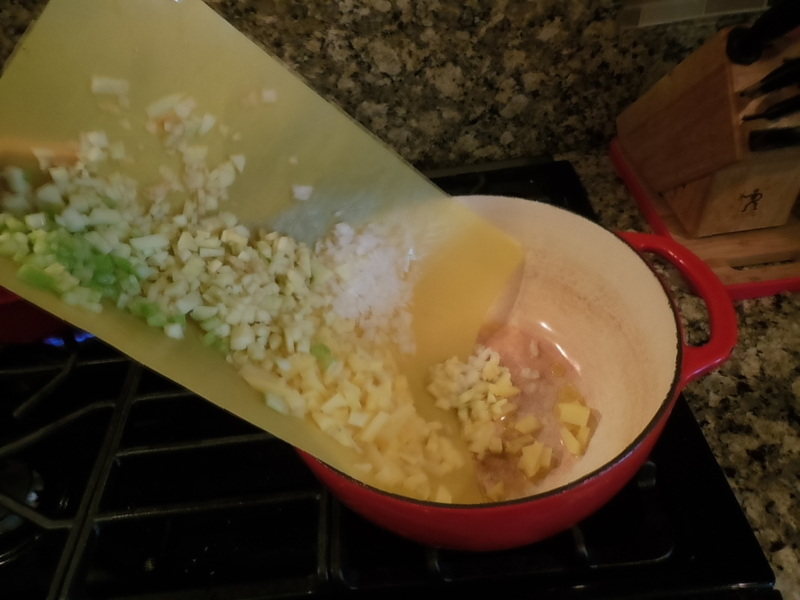 Add apple, potato, onion and celery. 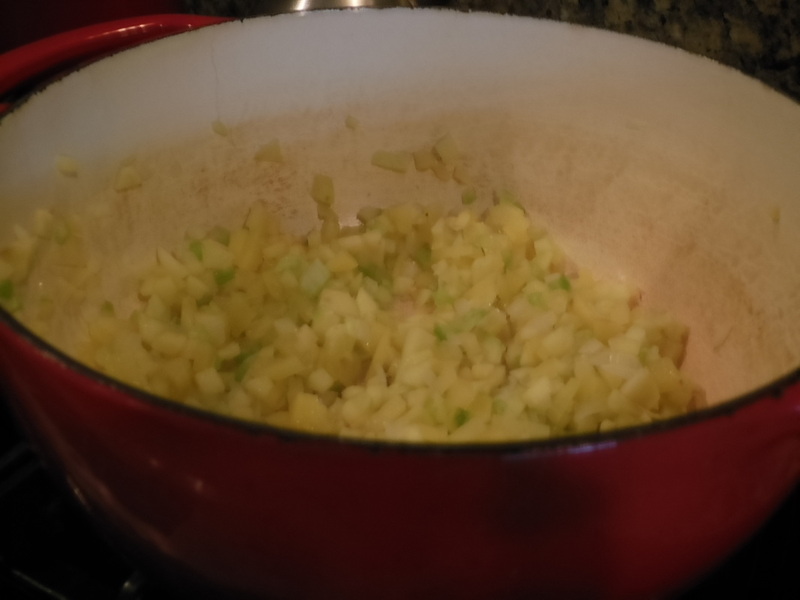 Cook stirring often until the onion is translucent about 5 minutes. 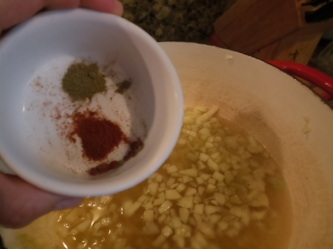 Stir is salt, sage, paprika and pepper, Pour in broth/water and bring to simmer. Reduce heat, cover and let simmer until the potato is tender when pierced with a fork, about 15 minutes. 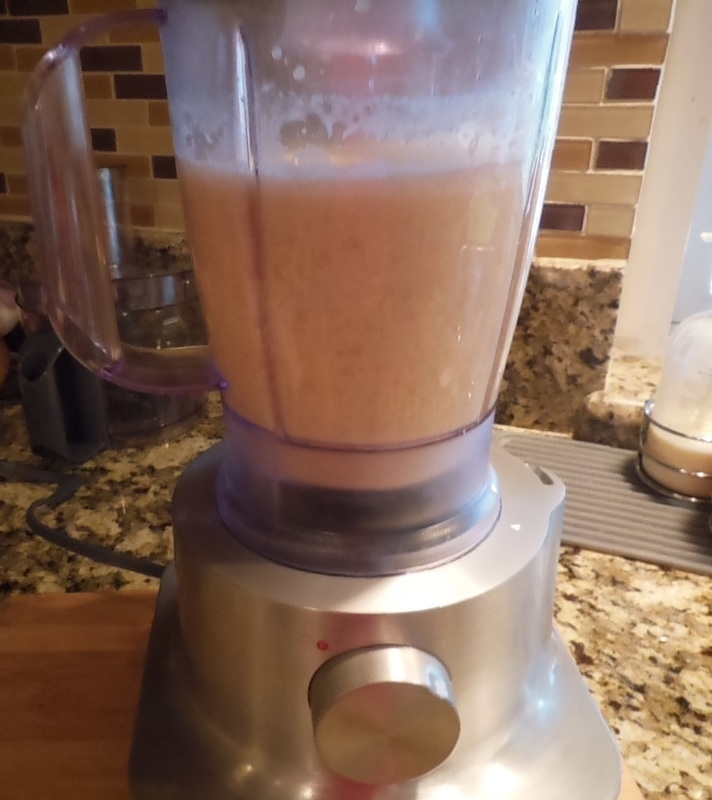 Transfer the soup to a large blender or food processor. 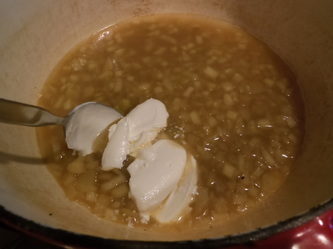 Add sour cream and process until smooth. Be careful when pureeing hot liquids! 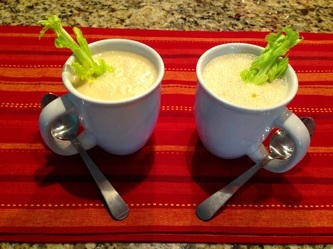 Serve warm garnished with celery leaves, if desired. 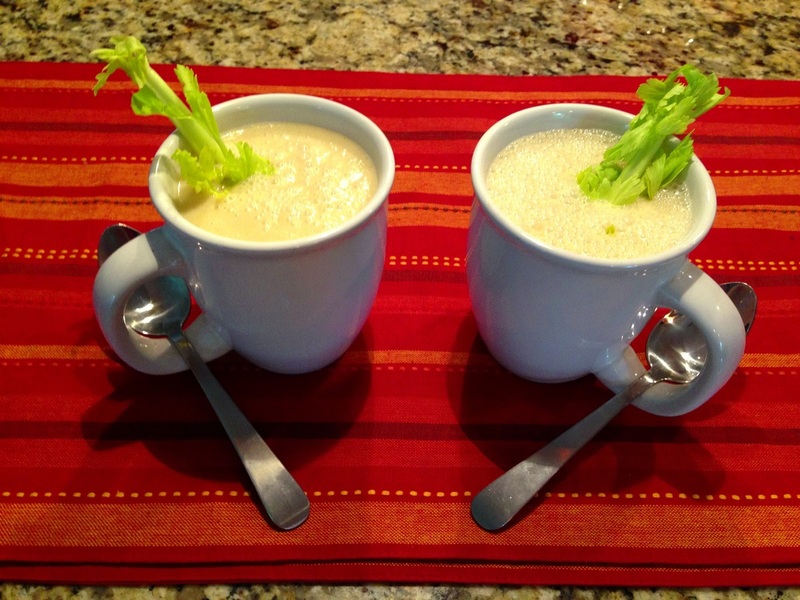 Enjoy this fresh and light flavored soup.